A MYSTERY pink pigeon has been spied in Breightmet. The bird, which has pink and white plumage, but still has a normal grey head, was spied on a rooftop in Breightmet earlier this morning. There is a breed of bird called a pink pigeon — called nesoenas mayeri which are native to Mauritius — but these are very rare and normally such a paler shade of pink they are almost white. David Taylor managed to photograph the unusual bird in Tetbury Drive at about 8am on June 20 and said: “I was having breakfast this morning and saw this red and white pigeon on top of a neighbour’s roof. “When I went out it was gone but then 15 minutes later I spotted it on a neighbour’s roof. “I don’t know why it’s that colour, I thought someone had painted it. Jackie Fish, who also from Tetbury Drive, thought someone had spray painted the bird in the colours of the St George flag. She spotted it at 7.15pm on June 19, 45 minutes before England kicked off their crucial World Cup match with Uruguay. She said: “I just saw it there and realised it had been painted white and red, to look like the England flag. Gemma Pidluski also reported seeing the bird on June 19 and said on Facebook: “I have just been sitting at home and a pink pigeon has landed on my shed roof. Is it real? 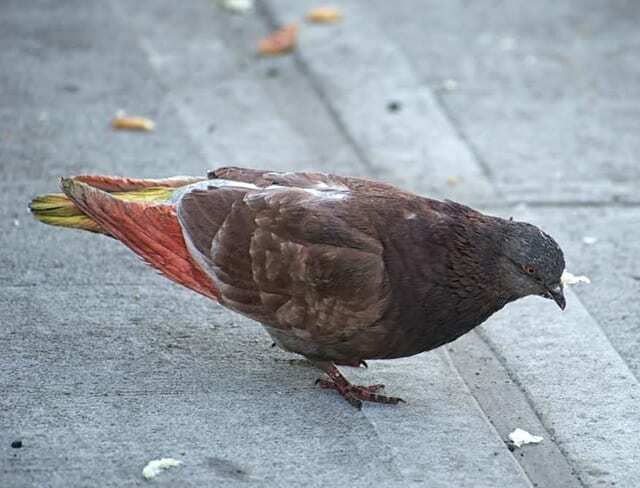 A similar bird was spotted in Ealing, West London in August, 2012 and experts were at a loss to identify it. Voted Best Canadian wholesaler for Bird Deterrent products six years in a row. Trapped with no way out – at risk of losing their lives – creating fears of a health risk to people nearby…relax. We’re talking about pigeons here. Pigeons. They’re just rats with feathers, right? But nobody wants to see them suffer, even if they are trespassing. The birds apparently got caught between the roof of a strip mall and a drop ceiling in a hair salon during a renovation job. Employees at the Style America salon at Central and Tramway removed some of the ceiling panels, hoping that the birds would fly down and out the door. No luck. The fat little knuckleheads just squat up there doing what pigeons do – which leads to worries about illness and disease from pigeon poop. Stevenson did say people with immune system issues do need to worry about even small amounts of pigeon droppings. He said that based on his experience, there is probably a way in and out for the pigeons, and people in the building see them roosting and think they’re trapped. He said if in fact they are trapped, he will conduct a rescue operation for free. A Style America customer said she called City Hall at 311 to get some help, but learned that the city is not in the business of removing pigeons from private property. It’s up to the owner or the tenants to deal with it. PHILADELPHIA (CN) -An animal rights groups stalked, harassed and defamed members of the Philadelphia Gun Club – who occasionally use live pigeons as targets – and went so far as to glue dildoes outside the club, members claim in court. The gun club and eight members sued Showing Animals Respect and Kindness, and Illinois-based animal rights group, and five of its members, Federal Court. 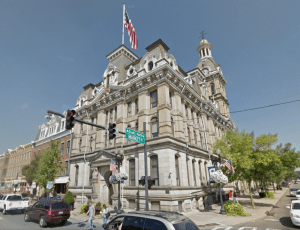 The shooters claim the defendants engaged in a “pattern of harassment, hounding, intimidation, trespass, invasion of privacy and intrusion” against members of the club, which has operated in Bucks County, Pa., since 1877. The gun club says it uses live pigeons supplied by “pest control companies” 10 to 12 times a year for members to shoot with shotguns loaded with bird shot. At least 20 times in the past two years, SHARK has set up camp at the club’s driveway and blocked the road, filmed members coming and going, and got access to the property’s security gate code and posted it on the Internet to “incite others to commit physical crimes against the PGC property,” according to the lawsuit. SHARK members also glued “rubber facsimiles of male genitalia” outside the property, then filmed it and posted the movie on the Internet, according to the complaint. At least three times in 2013 and 2014, gun club members say, the animal rights group surrounded the property with loudspeakers and played recorded vulgar and profane messages for hours at high volume. They claims that SHARK members jotted down their license plates to try to learn their identities, followed them, created Internet posts identifying them, and posted inflammatory videos of them on the Internet. SHARK did not immediately respond to a request for comment Tuesday. But on its website, SHARK claims that its campaign has reduced the club’s membership. “I am pleased to inform you that our relentless efforts against the notorious Philadelphia Gun Club have dramatically reduced the number of shooters attending their live pigeon shoots,” an unsigned letter on the website states. Plaintiffs – who are described in the lawsuit as businessmen or physicians — say they’ve lost business because SHARK posts false “reviews” about them on social networking applications such as Facebook and Yelp. “The plaintiffs are each well-respected members of their communities, and the contents of defendants’ false and defamatory statements – which include allegations of criminal conduct, of deviant sexual misconduct, of mental illness and cruelty, and of multiple instances of ‘corruption’ and dishonesty – are such that the reputation of each plaintiff has been lowered in the estimation of his community and has deterred third parties from associating or dealing with him,” the lawsuit states. Gun club members seek $150,000 each for violations of the Driver’s Privacy Protection Act, trespass, defamation, libel, invasion of privacy, tortious interference with existing and prospective contractual relations and intentional infliction of emotional distress. A BRISTOL photographer has taken a series of striking pictures showing peregrine falcons hunting pigeons in the heart of the city. Sam Hobson, 34, has captured a collection of pictures showing the birds snatching the pigeons above Bristol’s skyline, according to the Daily Mail. Mr Hobson said it was ‘amazing’ to capture the birds hunting above his city. In Britain, they are usually spotted in the skies above mountain ranges and other remote spaces. 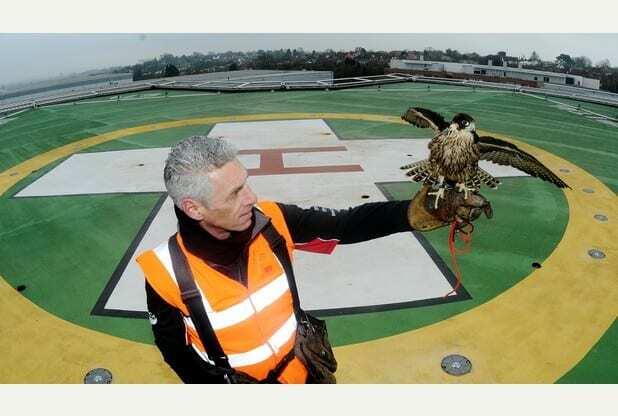 Mr Hobson, who has been tracking and photographing urban falcons in Bristol for the past two years, said the birds had been attracted to the cities because of their large number of pigeons and other migratory birds. ‘I have seen falcons doing things they don’t do in the countryside,’ he said. ‘For example, I witnessed them hunting at night. ‘The falcons were using the city lights to spot other birds and then swooping on them. ‘We are used to seeing nocturnal hunting behavior in owls, but not peregrines. He added that March was a good month for photographing the birds – saying: ‘We are coming up to the time when falcons lay their first eggs of the year. ‘Males are particularly territorial during this time, and attack other birds like seagulls which come anywhere near their nests. Mr Hobson told the Mail, he had captured the falcons from vantage points on high buildings – while carefully observing their nesting habits to determine where they will appear. ‘I stood on top of a car park all day, waiting for something to happen,’ he said. Three oil sands companies say scores of birds were killed after landing at their waste facilities in east-central Alberta, Canada, even though their avian deterrents were operational at the time. All three companies – Canadian Natural Resources Ltd. (CNRL), Syncrude and Suncor – said the birds began landing the morning of Nov. 4 and that their wildlife deterrents were working properly at the time. However, a dense fog was reported at the time, which may have disoriented the birds, contributing to their deaths. All told, 122 waterfowl died on the companies’ tailing ponds, where waste from oil extraction is dumped, the Alberta Energy Regulator (AER) reported on Nov. 5. CNRL reported finding 60 dead birds at its Horizon site, and Syncrude said it had to euthanize 30 birds that landed on a similar facility at its Mildred Lake site. Suncor said that about 120 birds closed in on one of its waste ponds at about the same time, but its deterrents frightened most of them away. Six, though, managed to land. Investigators sent in by the AER are trying to determine whether the companies’ deterrents were, in fact, working that day. The deterrents include ordinary scarecrows as well as more high-tech devices as radar units and acoustic devices such as propane cannons, which shoot nothing more dangerous than noise, to scare wildlife from toxic areas. Syncrude, a major oil sands operator in the region, was hit with a $3 million fine for the deaths of more than 1,600 ducks that had landed on its tailings pond in 2008. AER spokesman Ryan Bartlett said his agency is investigating the incident, but the results may not be known for months. Meanwhile, neither Alberta’s Environment or Energy ministry would comment, leaving the matter to AER. Provincial Premier Jim Prentice said he’d have nothing to say until the AER issues a report on its investigation. A 26-year-old transient was arrested Wednesday on a charge of cruelty to animals after a wing was ripped off a live pigeon in a parking lot at 221 W. Union St., according to the Jacksonville Sheriff’s Office. 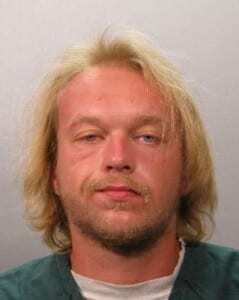 Simon Abromson remains in the Duval County jail on $10,000 bail after his 1 p.m. arrest, according to jail records. 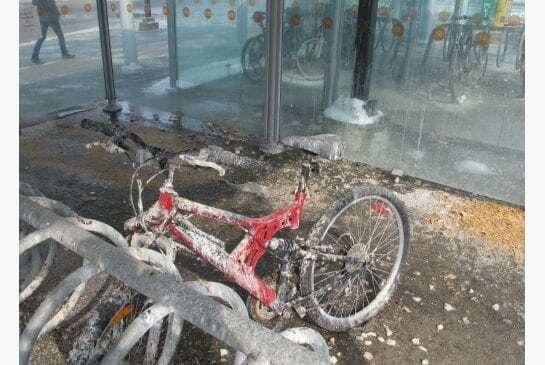 Abromson was feeding birds in the parking lot at noon Monday and threw bread on the ground to gather birds, a witness told police. After gathering birds around him, he grabbed one pigeon and ripped off a wing before it fell back to the ground. The bird tried to run away, but died behind a dumpster, according to the arrest report. The witness confronted Abromson about torturing the bird and was told to “back off or I’ll slit your throat and drink your blood,” according to the arrest report. Police found the man two days later, but he became violent when arrested and said he would come back and shoot people in the parking lot. The man told police he eats pigeons regularly, according to the arrest report. FAIRBANKS — One of the places where pigeons congregate downtown is the parking garage on Lacey Street. Twice per year, a parking garage employee must put on a Tyvek suit, wear a respirator and scrape about 75 gallons of pigeon dung from the concrete floors. The droppings are loaded into thick bags and disposed of in the hazardous materials area at the landfill. Dodge has noticed in recent years the downtown pigeon population seems to be growing. Others agree. Businesses are experimenting with ways to deter the bird. 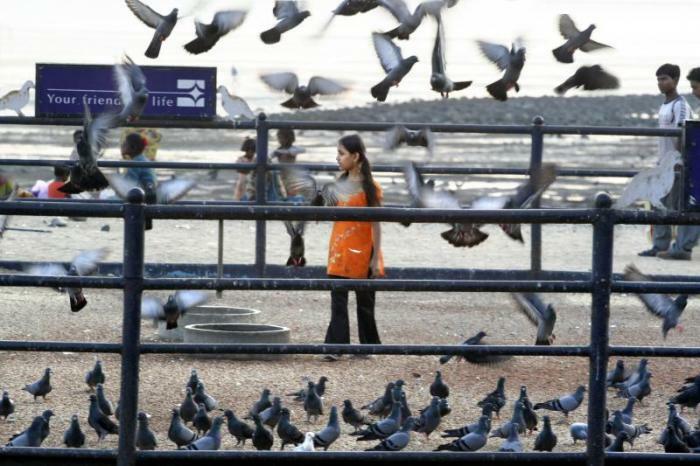 The pigeons are a nuisance, Dodge said, and their poop is damaging property. The droppings contain ammonia and uric acids that are eating away at the sealant on the parking garage’s concrete floor. 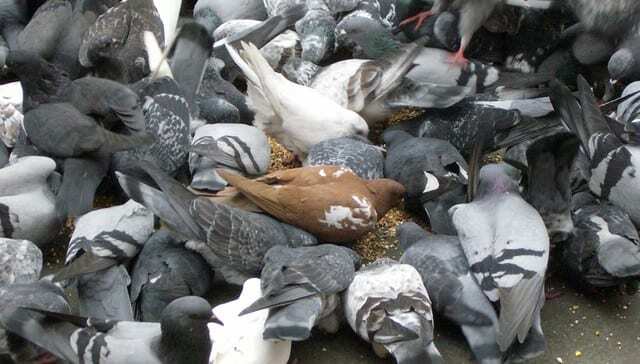 The pigeon guano also contains communicable diseases, though the risk of catching a disease from pigeon poop is low. One pigeon can produce up to 25 pounds of guano per year, according to a government report “Curbing the Pigeon Conundrum,” detailing the pigeon problem in New York City. A hatch on a Swedish church tower inadvertently left open since the 1980s resulted in two tons of pigeon droppings collecting in the tower, according to news reports. Pigeon droppings are blamed for speeding the decay of a bridge in Minneapolis that collapsed in 2007, killing 13 people and injuring many more. In Fairbanks, roofers last summer discovered six inches of pigeon dung on the roof of the Courthouse Square, a maintenance worker said. Cathie Harms, spokeswoman for the Alaska Department of Fish and Game, said pigeons were brought to Fairbanks by hunters and dog trainers. They are not a native bird. Charlie Cole, who has kept an office in downtown Fairbanks since 1957, said he has noticed the pigeon problem is getting worse. Cole didn’t pay much attention to the bird until recent years, he said. They are nesting near his building, and Cole has been talking with his neighbors about collaborating to fend off the bird. A couple of months ago, a maintenance worker for the Springhill Suites Marriot decided to try a recording of predator birds to deter pigeons from gathering on the eaves of the hotel. The recording could be heard a couple of blocks away and annoyed some of the hotel’s neighbors. Architect David Whitmore, who owns a building on Third Avenue, said 15 to 20 pigeon nests were discovered in the gap where the corner of his building meets three neighboring buildings. “It’s poopsville,” said Whitmore, who is thinking of putting a net over the gap so the pigeons move on. Whitmore is indifferent to the pigeon problem. 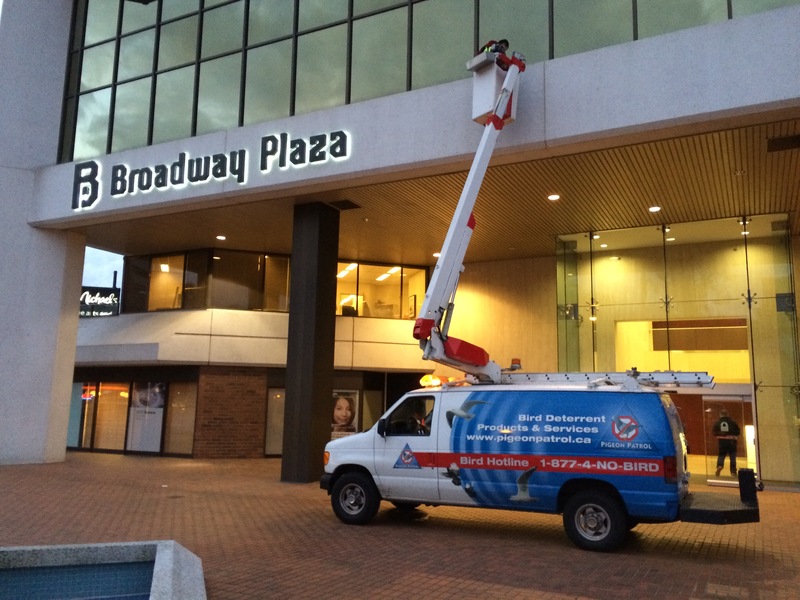 Robert Franklin, a maintenance foreman for JL Properties Inc., which manages the Courthouse Square and the Northward apartment building, has a different point of view. He describes pigeons as flying rats. 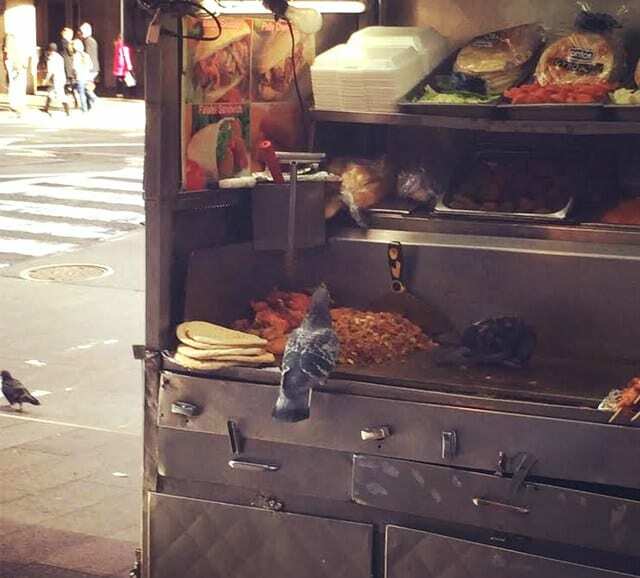 Pigeons make extra work for guys like Franklin. Franklin uses spike strips and owl decoys to repel pigeons with mixed success, he said. He moves the owl decoys once the pigeons get used to them. 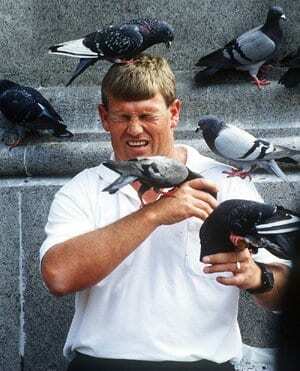 Harms said the best way to deter pigeons is to eliminate their source of food. Bird fans are in a flap after there appeared to be fewer of the feathered inhabitants around Redhill’s shopping area and station in recent weeks. Natalee Spencer, 20, said she feared for the birds’ safety when they did not take the food she left. She told the Mirror: “I was wandering through the town centre on my way to work one day when I noticed I couldn’t see many of them. “I sometimes put some food out for them because they need to eat too. But I couldn’t see any of them around so I just left the food on the ground. Others have also noticed the area around Redhill Station, once littered with pigeon droppings, is now clearer. 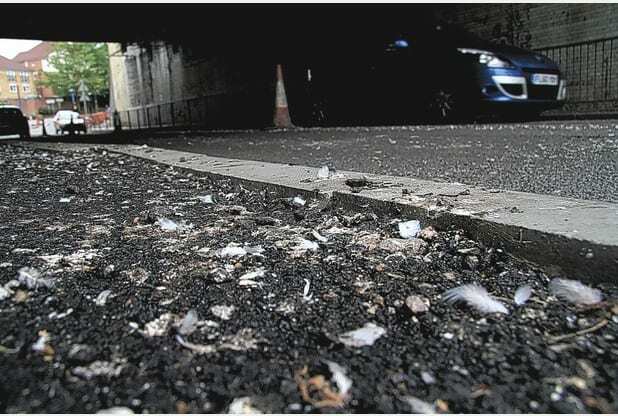 Daniel Nixon, 36, who works in the area, said: “I have noticed the pavement is cleaner these days; there doesn’t seem to be so many birds chilling out overhead.” “Pigeons have no predators and they have an easy life with food easy to find. He added the pigeons could have caught a bug which depleted the population, but could not be sure without investigating. 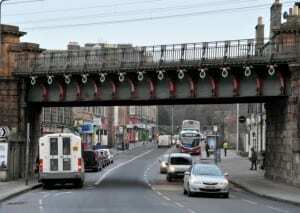 In response to concerns about bird droppings on the pavement, Network Rail said it would look into installing new measures, such as mesh or nets, to deter the birds. Twice a year, Marcus Dodge assigns a worker to don disposable coveralls and a respirator for a trip to a downtown Fairbanks parking garage to clean up deposits from a non-native species. Dodge, director of the Fairbanks Parking Authority, estimates the worker picks up 150 gallons of pigeon dung annually and hauls it to the hazardous materials area at the landfill. 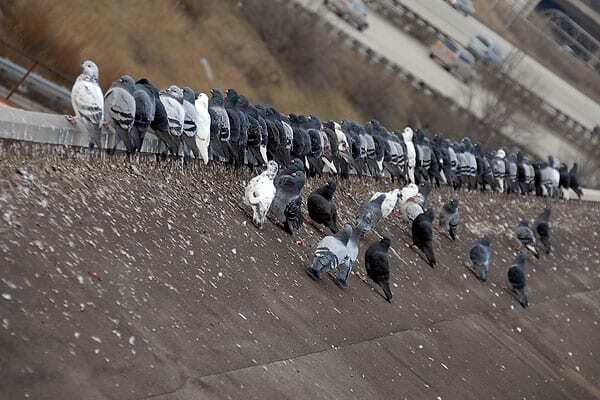 The downtown pigeon population appears to be growing, according to Dodge and others. Businesses are experimenting with ways to deter the birds. 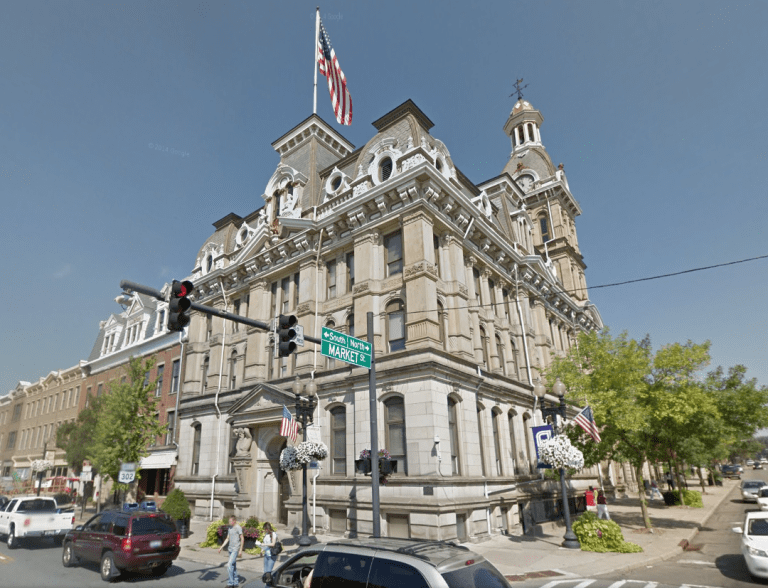 Roofers last summer discovered 6 inches of pigeon guano on the roof of the Courthouse Square, the former federal courthouse. Charlie Cole, Alaska’s former attorney general, who has kept an office in downtown Fairbanks since 1957, has been talking with neighbors about fending off the birds. Pigeon droppings contain ammonia and uric acids that eat away at metal and the sealant on the parking garage concrete floor. One pigeon can produce 25 pounds of guano per year, according to a government report detailing New York City’s pigeon problem. The droppings were cited as possible cause for speeding the decay of a Minneapolis bridge across the Mississippi River that collapsed in 2007 and killed 13 people. Hunters and dog trainers introduced pigeons to Fairbanks, said Cathie Harms, spokeswoman for the Alaska Department of Fish and Game. The best way to deter them, she said, is to eliminate their food source. A maintenance worker for the Springhill Suites Marriot a few months ago tried chasing them off with a recording of predator birds. The sound could be heard from a couple of blocks away and drew complaints from hotel neighbors. Robert Franklin, a maintenance foreman for JL Properties Inc., which manages the Courthouse Square and the Northward apartment building, calls pigeons flying rats. He uses spike strips and moves owl decoys around to repel pigeons. Success has been mixed, he said. Pigeons have been steady residents of Copenhagen City Hall’s tower for over 100 years, but that has now come to a sad end. Pigeons have made their home in Copenhagen City Hall’s tower since 1905, but on Tuesday the current flock of around 120 pigeons living in the seat of local government were euthanized after contracting psittacosis, an infection spread through bird droppings. “There have been pigeons since the City Hall was completed and we have always been proud of that. This is absolutely not something we are happy about,” Kåre Jørgensen, a City Hall spokesman, told DR.
Psittacosis, also known as parrot fever, can also spread to humans and two workers who helped take care of the birds came down with flu-like symptoms but have since been cleared to return to work. Jørgensen said that although the infection could have been treated, it would have been too hard on the pigeons. “If we were to [treat them, ed.] it would require that the pigeons be shut up in our tower for four months. 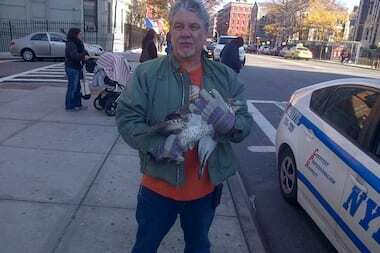 The veterinarian determined that that would be a gross violation of the animal’s welfare, so we couldn’t subject them to that,” he told DR.
Jørgensen said officials haven’t yet decided whether they will attempt to repopulate the City Hall tower with a new flock of pigeons. To do so, the dead birds would first have to be removed and the entire tower would have to be disinfected. Until recently, the medieval tower that rises above the Dordogne River in this small village in southwestern France was a romantic ruin, inhabited only by pigeons. Still, Ms. Marshall and her husband, Richard, 66, a British couple from Lincolnshire who had a long association with the area, weren’t put off. Back in the 1970s, they had rescued another ruin, a dilapidated barn in Dordogne that they had been using as a vacation home ever since. FEEDING animals in St Martin’s Churchyard is to be banned, in a bid to halt the damage pigeons, squirrels and rats are causing to the historic building. 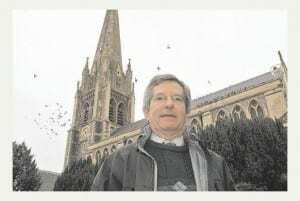 Wardens at the central Dorking landmark say they have been forced to take the drastic step as the churchyard is in danger of becoming “a zoo”. According to churchwarden Peter Bunn, the population of pigeons, squirrels and “less-pleasant vermin” living there is causing a significant risk to the much-loved building, which dominates the town’s skyline. Control measures are currently being investigated, which may include making the feeding of animals in the churchyard illegal, as in London’s Trafalgar Square. Mr Bunn told the Advertiser: “There’s a completely artificial population there now. “I think this whole thing started when Albi the albino squirrel was here. After that we became used to seeing people feeding squirrels when it was really cold in the winter – but now it is every day. 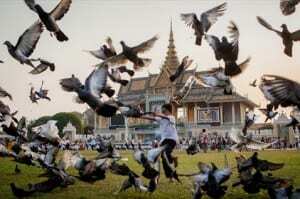 “We have a big problem with the pigeon population. In the mornings as soon as someone feeds one a vast flock appears. There has been a place of worship on the site of the present church of St Martin since the early 11th century. The current building, with its iconic 210ft spire, was completed in 1877. However, architects have warned there is high potential for stonework damage due to the large amount of pigeon droppings collecting on it. 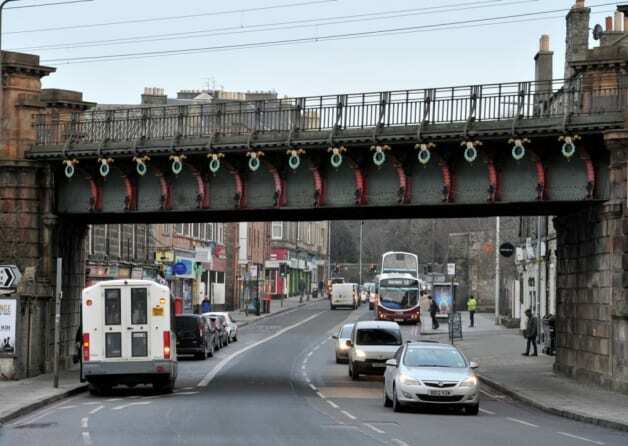 Already “significant” amounts of money have been spent on clearing bird mess from high-level gutters, as blockages threaten to cause water damage inside the building. The second major risk to the church, according to Mr Bunn, is that if squirrels manage to find their way inside they could cause damage to the historic organ or, more seriously, chew through electric wiring. 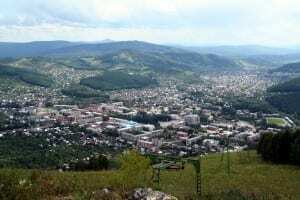 Mr Bunn added: “These are birds and animals in poor health which are fed on huge quantities of unsuitable food. 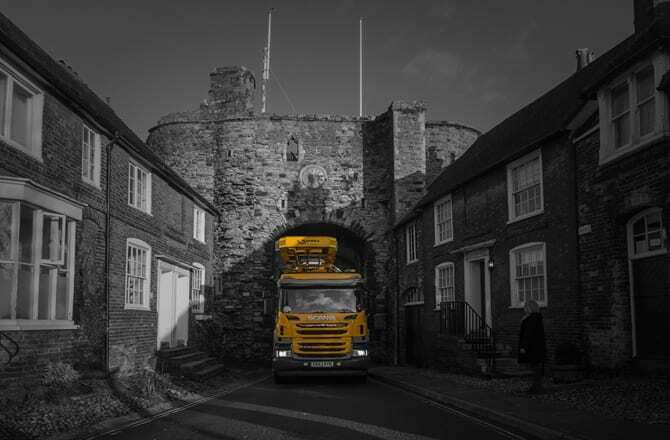 “As long as we can remember, it has been a traditional part of growing up in Dorking for children in the depth of winter to put out a few nuts for the birds and squirrels. “More recently this has developed into year-round feeding with not just nuts, but large quantities of bread. “This has caused not just exponential growth in the populations, particularly of pigeons and grey squirrels, but also now the appearance of less-pleasant vermin. Signs requesting “Please – no feeding” will go up at the church shortly. When it comes to reducing collisions with the glass of the new Minnesota Vikings stadium, a bird in the hand is worth two in the bush, environmental advocates told stadium officials Friday. There’s already a proven solution — “fritted” or patterned glass — which would cost only about $1 million and is being used successfully at places such as the Javits Center in New York City, they say. That’s better than waiting for a potential fix from 3M that might never come to fruition. The transparent design was approved after vetting by several stakeholder groups and is part of what will make the stadium “an iconic building that people are going to want to be part of,” Kelm-Helgen said. Fritted glass would clash with that look, officials have said. If there is a solution from 3M that would be transparent to humans but detectable by birds and is possibly more energy efficient to boot, “that would be a very win-win situation for all of us, and so that’s why we’re working on that and pursuing that,” Kelm-Helgen said. The status of any such product was unclear Friday. Kelm-Helgen said that 3M has said it has some existing products it wants to test for bird-deterrent qualities, as well as some new products under development that might work. She stressed that it’s early in the process and details aren’t finalized. “There is no product yet,” said 3M spokeswoman Fanna Haile-Selassie. Company scientists believe they may be able to find a solution, hopefully by this spring, Haile-Selassie said. All of which makes some bird advocates suspect the 3M possibility is a red herring being floated by the authority to distract from the fritted glass solution. “It’s absurd, absolutely absurd, that you’re now pointing to a possible future solution and taking refuge in that as some kind of action that you’re taking to deal with this massacre of birds that’s going to occur unless you change course and change the glass,” Constance Pepin of Minneapolis told authority members. But Kelm-Helgen said the $1 million is only the cost for the fritted glass. Changing direction at this point also would mean wasting the glass already fabricated for the project, the value of which she said she couldn’t estimate. Plus it would necessitate a redesign and cause a delay, the duration of which she said she was not sure of. And authority board member John Griffith assured bird advocates they were being heard. 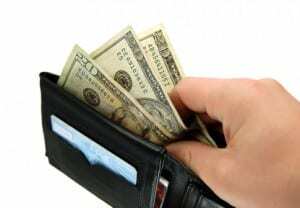 “I think that they’ve shown that there’s a large constituency that cares very much about this issue,” he said. Testing of a bird-safe solution this spring would begin on other existing buildings, Kelm-Helgen said, with the stadium being added to the test after the building is finished in 2016. The new stadium will have about 190,000 square feet of glass. It sits in downtown Minneapolis in what’s called the “Mississippi flyway” for migrating birds. Scarecrows have never worked, and history shows that advancements in technology haven’t worked much better when it comes to shooing birds away from ripening crops. Hinders, professor of applied science, and John Swaddle, professor of biology, are the core members of the Sonic Nets collaboration at William & Mary. The idea is to produce an effective, non-lethal bird deterrent, a solution to an age-old problem that is affordable, polite and does not rely on a steady supply of irritable dachshunds. Instead of scaring or even alarming the birds, Sonic Nets works on the annoyance principle. As they dine in a farmer’s field, birds keep up a constant chatter. A device called a parametric array projects a narrow beam of sound to disrupt the birds’ field chatter, which seems to be mainly about the quality of the hors d’oeuvres and the immediate predator situation. 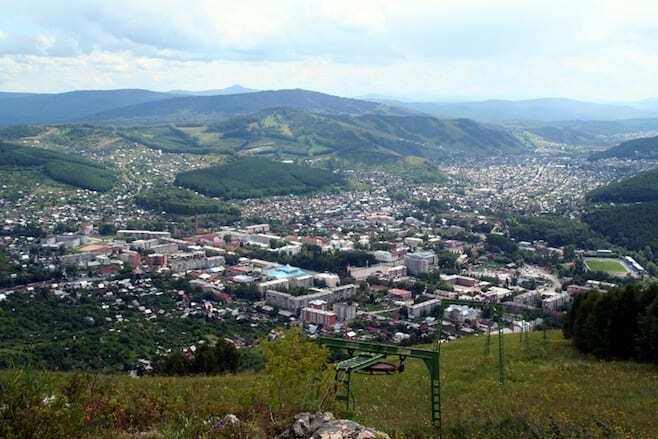 The Sonic Nets collaboration has attracted considerable interest over the years, beginning in 2012, when the Bill and Melinda Gates Foundation named the project a Grand Challenges Explorations winner. Additional support from the Andrew W. Mellon Foundation allowed birdsong expert Dana Moseley to join the collaboration in fall, 2014 as a Mellon postdoctoral fellow. There also has been considerable movement toward eventual commercialization of Sonic Nets, as well. The collaborators have been discussing options with a group of M.B.A. students at William & Mary’s Raymond A. Mason School of Business under the leadership of Richard Ash, executive director of the Mason School’s Alan B. Miller Center for Entrepreneurship. A patent application for the parametric array system is under consideration, and Sonic Nets has entered into a partnership with Midstream Technology, a Williamsburg firm, to pursue commercial opportunities. The technology was first tested with starlings in William & Mary’s aviary. Those encouraging results led to a summer of field tests at Fort Eustis. Swaddle explained that the Fort Eustis tests included an examination of a completely different use for the parametric array—minimizing bird-aircraft collisions by chasing birds away from runways. The airfield work is funded by the Virginia Center for Innovative Technology. The instrumentation shack (left) holds the white rectangular parametric array aimed at the elevated food tray. They also field-tested the devices in an open field, with the action recorded on video. The video footage from the open-field tests is still being processed, but Swaddle said the airfield data exceeded their expectations. The aviary tests showed that the Sonic Nets reduced the presence of starlings at food by 50 percent. He suggested that the higher success rate at the airfield is probably due to the difference between wariness of wild birds versus captive starlings. Bird vocalization is much more rich and diverse than calls to alert the flock to the presence of predators or food. Moseley’s Ph.D. research centered on how males use songs to attract potential mates as well as ward off rivals. The breeding-related vocalizations are yet another aspect of the deep aural avian experience. The wide-frequency capabilities of the apparatus open up the potential for “tuning” the Sonic Nets sound to target particular species. Nonlinear acoustics principles incorporated into design of the speakers also allow the operator to “focus” the sound right at the birds, and only the birds.She explained that there is some evidence that “soundscape” is a factor in habitat choice—that birds show a preference for a place where their songs and calls will best resonate. Moseley noted that the Sonic Nets apparatus could be used as research tool to test the soundscape-preference hypothesis, using its wide-frequency range to select sound that would alter the acoustic landscape of a test plot to observe if sound changes the bird’s perception of a habitat. Graduate student Elizabeth Skinner sets up speakers at an airfield. Elizabeth Skinner, a Ph.D. student in applied science, is working on simulations of how the sound beams interact with air. Her aim is to fine-tune the controls of the sound, setting the stage for Sonic Nets arrays tailored for specific situations. The team likes to compare different speaker designs to light sources. A regular speaker, Skinner explained, can be compared to a normal incandescent light bulb, illuminating a room, although diminishing with distance. Sonic Nets is versatile in concept, but one size does not fit all applications. Scaling up—spreading out the sound—is easier than confining the sound to a defined space, Hinders said. The team is working on variations in speaker design, sound and power source to engineer a Sonic Nets solution to any number of site-specific bird-pest problems. There is an almost limitless variety of bird issues, with consequences ranging from life-and-death to the most trivial of First-World Problems, Hinders said. Each problem poses a different set of engineering challenges.“If we need to cover a sunflower field in North Dakota, we would simply repurpose a stripped-down version of an emergency-alert kind of siren or maybe the PA system for a stadium,” he said. Other agricultural applications might be as small as a portion of an acre or a couple rows of fruit trees, Swaddle added. Next steps for the project include more extensive field testing, speaker design, various technology-transfer options and getting a better understanding of aspects of both the avian and the human condition. The collaborators stress that they want to be careful to work with people who would use Sonic Nets applications, to understand the bird and the problem it’s causing. Hinders said the group hopes to introduce use of the technology in resource-poor areas such as sub-Saharan Africa. He has begun leveraging existing contacts, starting with consultations with a young Tanzanian who is about to get a degree in wildlife management, thanks to the support from St. Stephen’s Lutheran Church in Williamsburg. Part of what makes New Yorkers different from Everyone Else is that we can do things like ingest cockroaches, rusty nail salad, mouse-dropping Cronuts, and subway air and survive. Taking things that don’t belong anywhere inside of the human body and placing them inside of our human bodies—even if unknowingly—is like our super power. A little hair on your dirty water dog? No time to remove it, you’ve got places to be! Wake up with a cockroach crawling into your mouth? That’s a delicacy for some! Things like this have, over time, built up our immunity. But we have to draw lines somewhere, and that somewhere is probably right about here. We’re just going to have to accept that this probably happens a lot. In fact, 9 out of 10 of us have probably dined on a pigeon-seasoned falafel. But you know what? We survived. The best we can do now is just block this image from our collective mind and keep going. 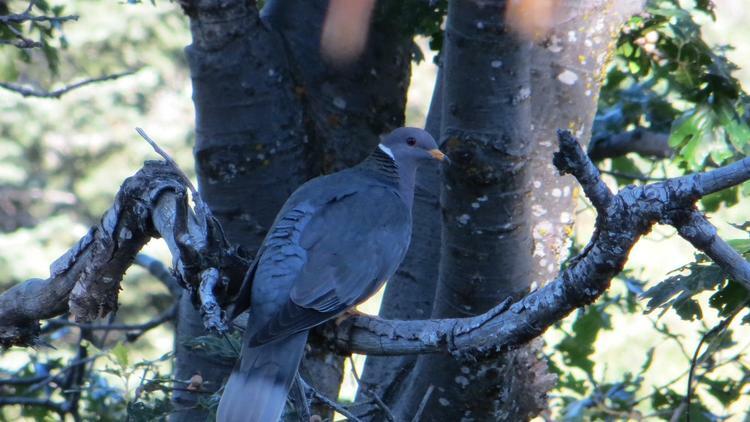 LIVINGSTON, Montana — Officials in Livingston are trying to decide how to address the city’s growing pigeon population but are left wondering if they have public support. 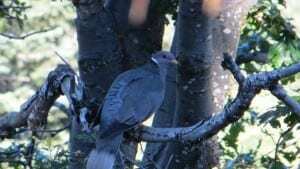 Just three people attended a meeting of Livingston’s Pigeon Task Force on Thursday. Park County Sanitarian Barbara Woodbury says pigeon management efforts might be abandoned if there isn’t enough community support. Lots of people are complaining about the birds. Woodbury tells the Livingston Enterprise a railroad underpass and vacant building are the two main pigeon roosting areas in town. She says the most economically feasible and effective method to control pigeon numbers would be to give the birds feed laced with a birth control drug. No future meetings of the Pigeon Task Force are scheduled, however. 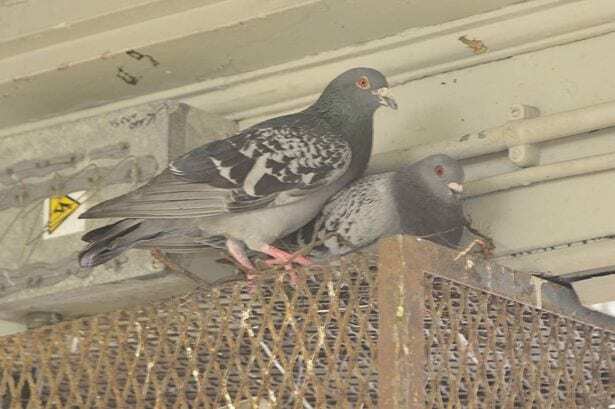 PIGEONS displaced by the demolition of the ABC cinema site in Tunbridge Wells have been causing a messy – and costly – nuisance to the neighbours. Work to flatten the land began in the summer and it was finished last month. And while the site on Mount Pleasant and Church Road has been left tidy and boarded up, the pigeons which roosted in the buildings have moved next door to the Pitcher & Piano bar and the Wellington Gate offices. The ABC cinema has stood empty since it closed in 2000. Rosemary Ehrler, who is building manager at office building Wellington Gate, told the Courier: “The birds migrated to every other building around. My opinion is they should have been culled before they pulled the building down. “The problem is now we have a situation where the front of our building is getting covered in pigeon faeces and we have had to call in pest control at our own expense. 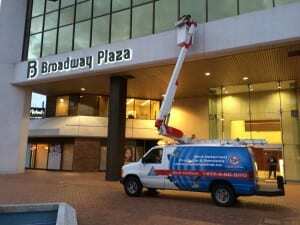 We are a seven storey building and pest control are coming in next week to remove the mess. “The whole building will have to be cleaned and they are going to put up something to stop the pigeons landing on the building. “It’s a fairly expensive business. It’s in the thousands. Then the pigeons will just move on to another building.” said Mrs Ehrler. She said the pigeon problem started as soon as the cinema was demolished. “There aren’t hundreds of birds but it’s a fairly large flock and it doesn’t take many to create a mess. They tend to like the ledges on the front of the building and the mess spreads down the front of the building and on the windows. I know Pitcher & Piano had their pest control, so they’ve spent moneytoo,” she added. Mr Turner said the alleyway at the side of his building was a fire escape and it was “very, very messy because of the pigeons” and that the birds were nesting on top of their coolant fans. Mr Turner said he had had to jetwash the delivery area because the delivery man had complained about it. Even the Town Hall was affected by the displaced pigeons. Cannibalistic pigeons at a Farnborough hospital have been branded ‘disgusting’. The dead birds have been spotted at the Princess Royal University Hospital, on Farnborough Common. A net preventing the winged beasts from flying near the hospital has inadvertently become their death chamber, witnesses claim. 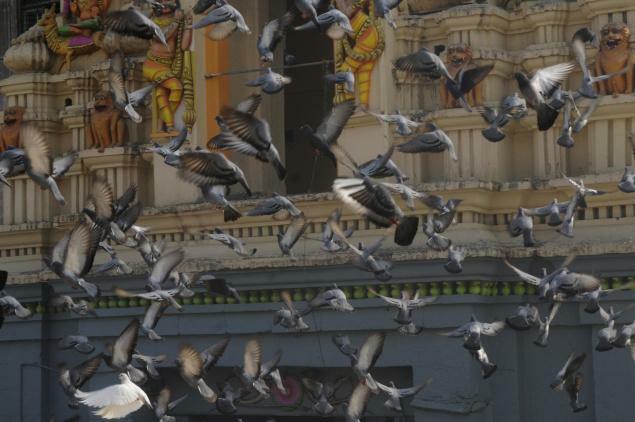 Some of the feathered creatures, which gather round the tops of the buildings, are reportedly left to rot or are devoured while hanging in the net below. It is unclear whether they become trapped in the net and die, or simply fall after dying of natural causes. One hospital visitor, Joan Collins of Southend Road in Beckenham, said: “It’s disgusting, it’s absolutely horrible. It’s not just their rotting bodies trapped in the net but their droppings as well. Another visitor – who did not wish to be named – said: “I’m disgusted and dismayed; every time I visit this hospital I see the trapped pigeons in the netting. “Many that have died are still hanging in nets. Maggots must have been dropping from them. The woman from Sevenoaks also claimed she had left complaints in the comment box at the hospital over the issue. 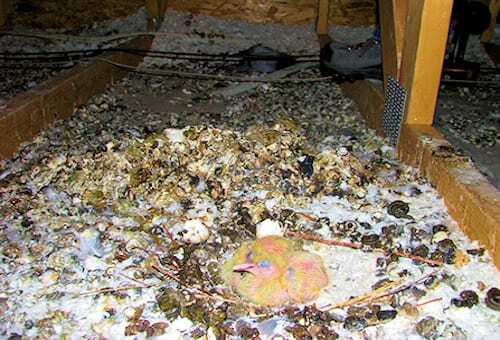 However, a spokesperson for the hospital said: “Bird droppings can pose a health risk, particularly among people with a lowered immune system, so mesh on the outside of the building has been in place for a number of years to prevent birds entering the courtyards and fouling on the ground and the hospital building. “Birds roosting and fouling in the courtyards have been an issue since the hospital was built. We have strict control measures to protect our patients from exposure to infection. “We are aware of a small number of cases where birds have become entangled in the mesh. The mesh has been coated in a substance designed to make it too slippery for birds to land on, which has reduced the number getting caught. We are currently working to free any birds that become trapped and we are taking steps to reduce the likelihood of them getting caught in future. “There are plans to slant the mesh to reduce the likelihood of birds landing on them and consequently becoming trapped. A PEREGRINE falcon has been rescued by firefighters after becoming trapped. The bird of prey got stuck in anti-pigeon netting on the roof of a building shortly after 9.30am yesterday morning. A specialist rescue team from Camels Head set about helping the bird. They used specialist animal rescue equipment, and requested the mobilisation of the aerial platform to help get to the bird. Ben Wheedon, from Camels Head, said: “The netting was wrapped around its wing and leg. We used animal rescue equipment to free the bird, and put it in an animal rescue bag to be handed over to the SPCA. It has been taken to the vet for a check-up and we think it’s going to be OK. The bird was rescued using specialist equipment and was passed into the care of the SPCA. ONE lane was blocked as emergency services dealt with an incident. For Mathis Brothers Furniture in Indio, it’s time to go solar. With a two-story showroom, a large warehouse and a lot of light fixtures, televisions and adjustable mattress bases, “The amount of power being used is pretty huge,” said sales manager, James Dorris. On the rooftop, Solar Forward, an Los Angeles based company, is already hard at work installing nearly 2,500 solar panels. “We’re really excited to be working with Mathis Brothers to install the largest solar system here in Indio. Basically this system is so large it could power 125 homes,” said Mark Smith, CEO of Solar Forward. The installation’s expected to take two months and cost $2.5 million. The panels will lighten up Mathis Brothers’ electric bill 95 percent and could trim your bill too. “We’re making the energy on site. It’s going to go from the roof into the main panel and be used right here. 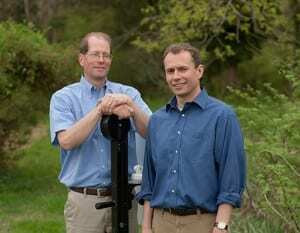 Any excess energy just gets distributed right in the area, consumed in the local community,” said Smith. “We want to be able to cut down as much as we can, not just for our own benefit, but for our community,” said Dorris. The workers are facing several challenges including the Coachella Valley heat and pigeons! They’re using everything under the sun to keep the birds away such as reflective tape and sound decoys. “There were swamp coolers and the pigeons made it their home. Now we’re trying to teach the pigeons to go somewhere else,” said Smith. Solar Forward said it’ll need more hands on deck to get the job done. “Solar Forward is LA based. We want to hire local people to facilitate this installation. We need local help. 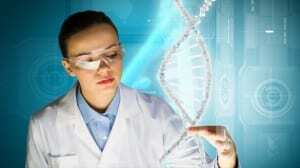 This is a huge job,” Smith said. “Overall it’s the step in the right direction for everybody,” said Dorris.